Sepah intelligence agents (IRGC) stormed Hossein Ronaghi Maleki’s hospital room today. Hossein who was hospitalized in critical condition due to complications from his hunger strike was transferred to a different room in the same hospital and was banned him from visit. They also threatened his family not to publish any information about Hossein’s condition. According to reports by Kalameh, few hours ago, Sepha Intelligence agents stormed Hossein’s room in Hasheminejad hospital, ordered the Intelligence Ministry’s agents and Hossein’s parents to leave the room, they then moved Hossein to a different room in the same hospital. The Seopah intelligence agents did not give any reason for their action, neither did they give any explanation or information about his new location. They also prevented Hossein’s family from visiting him in his new room saying that they could only visit him during scheduled visiting times. At the same time, agents called Hossein’s brother and threatened him to remain silent about Hossein’s condition. Hossein Ronaghi was transferred to hospital on Sunday night in critical condition, however, he has refused to be connected to an IV and has refused to break his hunger strike despite the danger of loosing his kidney. His family are worried that if the current conditions continue, it will eventually lead to a bitter and disastrous event. They referred to a similar case of another political prisoner, Hoda Saber, who lost his life on hunger strike in prison, due to lack of proper medical treatment. In this statement they also mention the medical examiner’s ruling that Hossein Ronaghi’s health is too dire to tolerate remaining imprisoned. They also mentioned the physicians recommendations for Hossein’s need to be granted medical furlough after surgery for proper care and treatment. Hossein Ronaghi Maleki launched a hunger strike last week. He announced the launch of his hunger strike in a letter to the Leader. In this letter he explained the reason for his hunger strike and said, ” “I protest these illegal practices by launching a hunger strike as of May 26, 2012 and protecting my life is the responsibility of the officials of the Islamic Republic. Kalameh reported yesterday that Hossein Ronaghi is under pressure to brake his hunger strike and has been threatened with being transfered back to prison. They also have threatened him with a negative media campaign against him. Despite all of this, Hossein remains steadfast on his demand and says unless he is granted a medical furlough he will not brake his hunger strike. Also, previously prison officials had said that they will cover all of his medical expenses, but they have recanted that statement and now say they can not cover his expenses due to Hasheminejad hospital not being under contract with them. New York, NY – Today, United Against Nuclear Iran (UANI) applauded the French shipping service, Bureau Veritas, for pledging to end its certification of Iranian shipping vessels, specifically those of the Islamic Republic of Iran Shipping Lines („IRISL“) and the National Iranian Tanker Company („NITC“). UANI contacted Bureau Veritas last week, noting that its certification activities were in violation of EU sanctions. UANI launched its Shipping Certification Campaign in early May. Following subsequent consultations with UANI, Bureau Veritas pledged that it has „decided to disengage completely from all Marine activities related to Iran.“ Bureau Veritas assured UANI that this pledge specifically includes „all vessels of the IRISL and of its subsidiaries, irrespective of their flags,“ as well as all NITC vessels. We applaud Bureau Veritas for ending its certification of Iranian vessels. We accept Bureau Veritas’s pledge to end all of its marine activities related to Iran, and we thank the company’s executives for taking this quick and responsible action. The international community must focus specifically on the shipping industry, to deny the Iranian regime access to global trade and seaborne crude oil exports. Aligned nations should prohibit all international cargo shippers that service Iranian ports from shipping to the U.S., EU and elsewhere. By cutting off Iran’s shipping access, the world can further isolate the regime and hamper its nuclear program and support for terrorists. Click here to read UANI’s full letter to Bureau Veritas. Click here to visit UANI’s „Shipping Campaign“ page. angesichts der seit 1993 bestehenden Preissteigerungen dar? Berechnung für Leistungen nach dem SGB II und SGB XII abzuweichen? Wer trägt die Finanzierungslast der Leistungen nach dem AsylbLG? A Canadian is facing imminent execution in Iran. He desperately needs you to intervene. Hamid and Alborz were in solitary confinement for 18 months until the end of November 2009 when they were transferred to a general population section in Tehran’s Evin prison. On 20 January 2010 Alborz died in prison, reportedly of stomach cancer. Mr. Hamid Ghassemi-Shall reported that both he and Alborz were subject to “extreme pressure” during their detention. Hamid Ghassemi-Shall was sentenced to death. His case has undergone a number of reviews, but the family confirmed in March 2012 that the death sentence has not been lifted. On May 30 the House of Commons unanimously endorsed an urgent appeal to the Government of Iran to grant clemency to Hamid Ghassemi-Shall; called for his release and return to his family and spouse in Canada, and urged Iran to adhere to its international human rights obligations. Read more about the house of commons decision in The Toronto Star. Justice For Iran (JFI): The countdown has started for Afghans in Iran. According to the director of the Bureau of Alien and Foreign Immigrant Affairs (BAFIA), since the moratorium issued on determining the residency status of Afghan refugees in Iran is ending, single Afghan men residing in the provinces of Tehran, Isfahan and Razavi Khorasan must leave the country by June 20, 2012. This is only the latest steps in the Islamic Republic of Iran’s continuous discrimination against Afghan refugees residing inside Iran. In a report released today, Iran: an Afghan Free Zone? !, Justice For Iran demands the UN Special Rapporteur for Human Rights in Iran to urge both Iranian government and the UNHCR make their entire plans clear and abandon their inhumane policy towards Afghans. As early as 2002, the Iranian government announced residential restrictions imposed on Afghan nationals living in Iran. More and more provinces were announced to be off limits to Afghan nationals. Banning residence in a province for Afghan nationals meant that those who were living in that province, some of who have been there for years, had to relocate to another approved location and try to start a new life. Iranian journalists are amongst those who have become victims of human rights abuse, as a result of their work in promoting human rights in Iran and have been oppressed by the Iran’s security agents and judiciary judges. Journalists whose writings and ideas for peace have made them targets for human rights abusers. In recent years, some very disturbing stories have been reported on the status of independent media and journalists, which require urgent attention. The International Federation of Journalists and also other human rights organizations including Amnesty International and Human Rights Watch, have described the situation of journalists in Iran to be worrying and complicated and they have stated the intimidation of journalists in recent years has been the worst ever. Reporters Without Borders have said Iran continues to have the largest number of journalists in prison and have named Iran as the biggest prison of journalists. The increasing pressure on journalists by the security agents follows no laws and rules and this has forced many of them to leave their motherland, against their will, to seek refuge in neighboring countries and ask for asylum from UN High Commissionaire for Refugees. Many are currently incarcerated and those seeking asylum face heavy sentences if they return to Iran. It is with much sadness that I have learned many Iranian journalists who have fled to Turkey, are living under very difficult conditions there. Many Human Rights and political activists as well as journalists face the same uncertainty. Iranian security agents have threatened some of them on numerous occasions and caused them anxiety. Lack of security in Turkey has caused me to write this letter to you, so that Iranian journalists and human rights activists who are residing in Turkey can be helped by whatever means possible and transferred to safer countries. If we can support human rights, then we must support human rights activists too, who truly have paid the price for their beliefs with their lives and freedoms to make the voices of the victims of human rights abuse heard. It is very sad that the renowned Iranian Journalists, Hadi Nili, who for years has been harassed and interrogated by the intelligence ministry agents, has remained in Turkey for over two years and has not been able to reach freedom. Truly, the ongoing uncertainty and overdue stay of such people and others, whom I will name below, in an unsafe country for them, like Turkey is just, added torture for them. Behrooz Samad Beigi has been living in a worrying condition for more than 13 months. Hamid Mafi and his wife, Maryam Akbari, have been living in terrible conditions for more than 10 months and have been threatened on numerous occasions. Ehsanollah Mehrabi and his wife have been exiled to a village near Syria and their situation is very worrying. Mehdi Tajik Ghashghaei, one of the seasoned Iranian journalists has got to wait for his first UN interview until July 2013. Alireza Firouzi, a young tireless human rights activist has to wait until February 2013 for his case to be heard by UN officials. Also Mr. Farhad Nouri Koochi. heard anything from UNHCR regarding rescheduling his interview date. group that has been subject to mass arrests and persecution in Iran. Unfortunately there are a lot of Human Rights activist like Mr. Babak Ejlali and Homayon Naderifar who need to your help. Let me emphasise again, if we are able to defend the rights of journalists and Human Rights activist, we should defend them wherever and whenever we can. Today these people need our help. I ask you to help these people by transferring them to a safe country and improving their situation, so that they can continue to help improve the situation of their people. 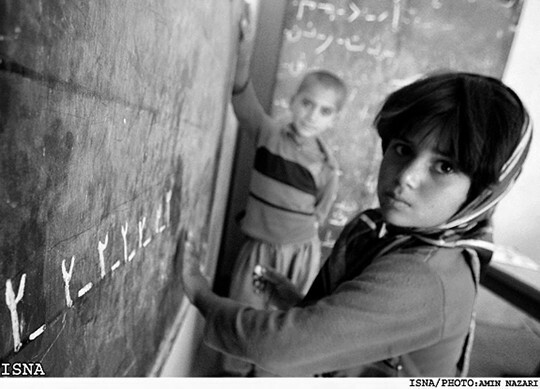 The real issue isn’t access, it’s the questionable benefits of formal schooling for the average Iranian child. Djavad Salehi-Isfahani is a professor of economics at Virginia Tech and a senior fellow of the Brookings Institution. His research has been in demographic economics, energy economics, and the economics of the Middle East. Press Roundup provides a selected summary of news from the Farsi and Arabic press and excerpts where the source is in English. 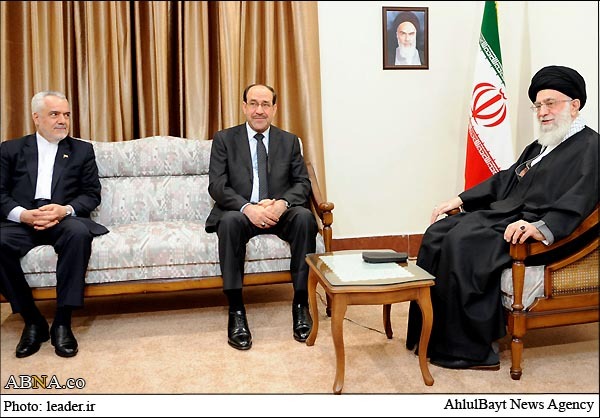 „There is some Iranian pressure on [Iraqi] President [Jalal Talabani] not to send the letter to parliament [requesting the no-confidence vote] and to support al-Maliki,“ said a lawmaker of al-Maliki’s political bloc, speaking on condition of anonymity because he was not permitted to discuss sensitive political dealings with reporters. On June 1, a U.S. District Appeals Court ruled that the Obama administration must finally decide within four months whether or not to remove the Mujahedeen-e Khalq (MEK) from the State Department’s list of foreign terrorist groups. 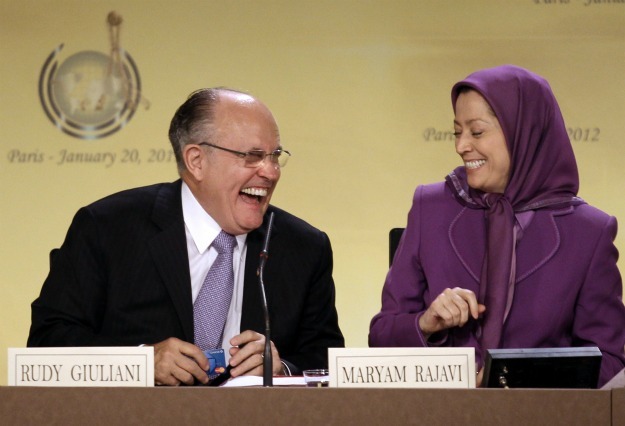 The decision was a partial victory for the controversial Iranian opposition movement. It has long pressured Washington through both a court petition and a high-profile public relations campaign to be taken off the list. In a press statement after the decision, the State Department said its position on the MEK has been under review since a court mandate in 2010, but that it „intends to comply“ with the new court’s order to determine the group’s legal or illegal status in the United States.